With Virtually Anywhere, you can now use your website to provide healthcare virtual tours of your hospital or patient-care facility to prospective patients, family members and staff. Virtually Anywhere is a virtual tour company who understands the changing marketing and recruitment needs in the healthcare industry. 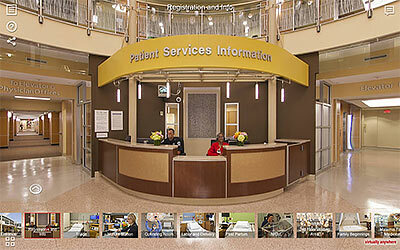 We have created virtual tours that allow the public to view all areas of a hospital or patient care facility, giving visitors a feel for the environment and comforting them with a sense of what to expect upon arrival. 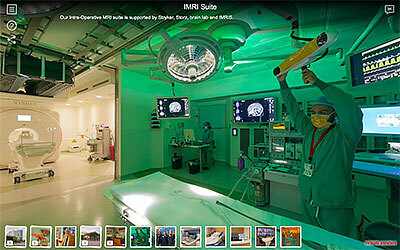 Now with over 20 years of specialization in virtual healthcare tours, Virtually Anywhere is the leading producer of hospital virtual tours in the healthcare industry. 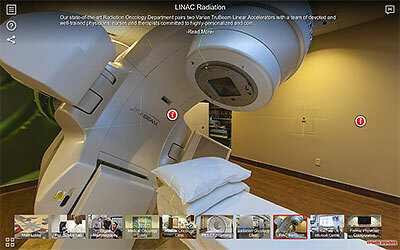 Our virtual tours are also used as orientation tours during the patient check in procedure to show patients what areas they will be in during their hospital stay. A virtual tour can greatly enhance the experience of your patients and their families along with facilitating a decision about an assisted living or healthcare facility. 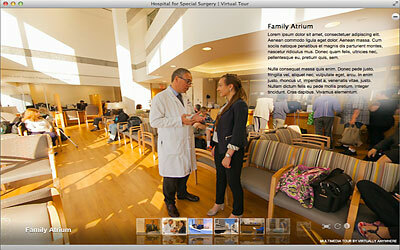 Virtually Anywhere has more than a decade of experience producing dynamic, interactive healthcare virtual tours. 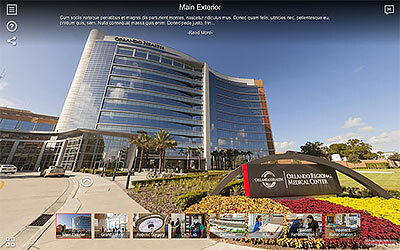 If you are looking for a healthcare virtual tour company to create an online tour for your facilities, look no further than Virtually Anywhere.